Anne Donovan has worked at Interfaith Social Services’ New Directions counseling since 2006. Anne is a licensed (LADC1) and certified (CADC) alcohol and drug abuse counselor with 30 years of experience. From 1989-1994 she completed the Alcohol/Chemical Dependency Program at UMASS Boston and the Project for Addiction Counseling Training (PACT) while working for Volunteers of America’s Project Rebound, an adolescent long-term treatment facility. During her time with the Boston Health Commission (1994-2008), Anne served homeless men and women who were affected by multiple challenges, including chemical addictions, mental health issues, HIV, extensive legal histories, and racial and sexual discrimination. From 2001 to 2010, Anne facilitated a bereavement support group in Quincy. 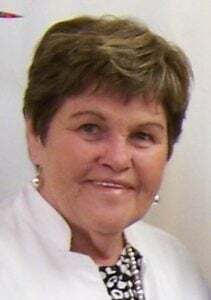 She both volunteered and worked as a clinician at Maria Droste Services in Quincy from 2004-2007. From 2008-2011 Anne worked as the substance abuse/relapse prevention clinician at South Shore Mental Health’s Quitting Time, an Intensive Outpatient Program. Anne has facilitated group therapy sessions focused on: Adult Children of Alcoholics, women’s issues, prescription medication misuse, and abuse among seniors. She has facilitated Interfaith Social Services’ Learning Pantry program for three years, educating food pantry clients about substance abuse, mental health, and other issues. Anne’s clients work with the Twelve Step Philosophy, Cognitive Behavioral Therapy, and Reality Therapy. Anne is comfortable doing Christian counseling and understands the connection between feelings, addiction, and the co-occurring disorders of PTSD, depression, anxiety, trauma, and other mental health issues. Addiction affects people on multiple levels: physically, mentally, and spiritually. Anne believes there is a way out and believes in the freedom of a new beginning.